A great location to grow your manufacturing, distribution, or agricultural business! Welcome to a place where the spirit of America lives and the values of America thrive. Where manufacturing is alive and well. Where ingenuity is rewarded. Where business owners aren’t targets for intrusive taxes and regulation, but rather neighbors we welcome with a warm smile. In fact, The Florida Department of Revenue lists Sumter County as having one of the lowest tax rates (School Board and Board of County Commissioners millage rates) in the State of Florida! Sumter County is in the middle of it all, at the crossroads of the Florida Turnpike and Interstate-75; near Orlando, Tampa and the treasure trove of opportunities that await you in the heart of the Sunshine State. Industry, agriculture, ecology, record-setting commercial and residential development, are all woven into the fabric of our community…supported by a government that believes in serving you, not the other way around. 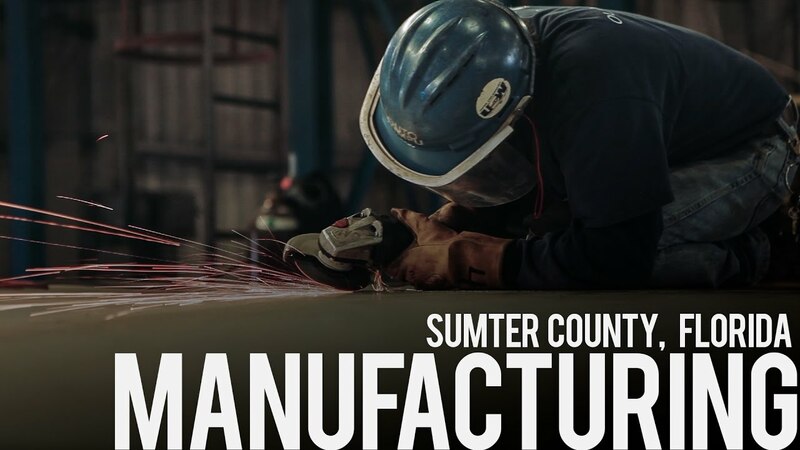 Whatever business you’re in, chances are you’ll find a home in Sumter County.